The Saxlingham Gents is a veterans cricket team, with players aged between 44 and 70. We play ultra-social Thursday cricket at Saxlingham Nethergate in South Norfolk (and beyond) against like-minded and similarly-aged teams. We will always try our hardest to win, but we will never compromise the spirit of the game to do so. Our idea of a great game is where one team (and not necessarily us) wins on the last ball. ...and, once the game is over, you can join us for beer and, on Thursdays, fabulous fish and chips at our clubhouse. We don’t field first teamers. We have no delusions of grandeur. We are just a group of forty, fifty and sixty-somethings who love playing cricket. Most of all, we like a laugh and a drink. But we’re not bad cricketers either. Well, not TOO bad - think of your average 2nd XI village side with its eight best players missing. We are happy to entertain friendly local or touring sides of a similar age, outlook and standard (no players under 40, please). If you consider yourselves as a bunch of village bumblers who have inadvertently found yourselves organising a cricket tour to South Norfolk or North Suffolk, contact our fixtures secretary, preferably before February when he sorts them out. We rarely play at week-ends due to the difficulties of raising a side. We are always looking for new players. 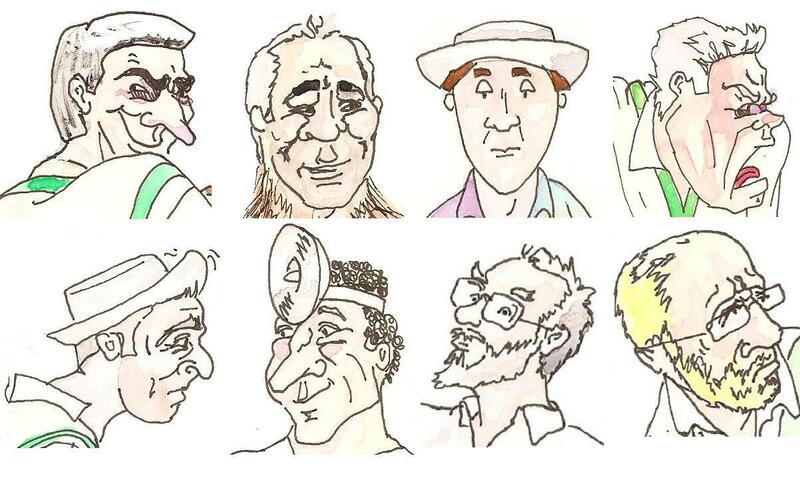 If you are over 40, highly-sociable, love cricket (and are of a poor-to-reasonable standard), have a sense of humour, like a drink in moderation and don't take yourself at all seriously, why not drop us an email. Saxlingham Cricket Club, The Street, Saxlingham Nethergate, Norfolk, NR15 1TD.